Small businesses with blogs generate 126% more leads than those without. Further, blogs are known to improve SEO and website traffic referrals. As we move towards 2018, blogging remains an indispensable online marketing tactic to increase exposure and drum-up business. However, many small businesses struggle with building blogs capable of achieving these feats. With the right blog writing and marketing strategy, you can build a popular blog that helps you achieve online marketing success. Do you have a company blog? How much traffic or leads has it generated for you? If it hasn’t yielded substantial benefits, here are a few potential reasons why. You could fix this final problem by working with skilled content writers such as the ones at Godot Media. When you place an order with us, an experienced manager matches your projects with the right writers. There are other reasons why your blog may not be working. Instead of delving into details, let’s explore ways in which you can build a popular blog from scratch. Most popular blogs stand out. They have identities that are unique to them. While you need a specific image to stand out, not having one shouldn’t stop you from getting started. Some bloggers begin with generic content and eventually find their niche. Finding your niche could be a result of audience feedback or a random insight. To access such an experience, you have to get started. Niche is a topic you choose, the approach you take, your style of writing or speaking, the platforms that you choose and how you position yourself as an expert. List areas that you are passionate about – areas in which you have knowledge of the latest happenings and some actual experience. The ideal niche would be one that satisfies the previous criteria and has an audience of a substantial size (say 100K). Ultimately, you could just start off with topics that interest you and see which ones your audience responds to best. Building a massive web presence requires a lot of experimentation. Start and try new ideas every day until you optimize the best possible plan. How do you establish your niche? Conduct keyword research using Google’s Keyword Planner. When establishing your niche, it’s important to use the terminology that people use – not what you think they use. If you enter your website’s URL or industry keyword in Keyword Planner, you’ll get a ton of potential keywords that you could use in your blog posts or videos. Ensure that you have consistency across all channels. Even if blogging is your primary strategy, you have to promote your blog posts across social media and email. When doing so, use the same terminology, style, and images so you can create brand consistency. An important step in creating the right content is understanding your audience and their behavior. There are a few questions that can help you answer this question. What professions are your audience members engaged in? Which platforms do your audience members typically visit? Are they active in certain communities or forums? What level of knowledge do they possess in your field – Beginner, Medium or Advanced? Which bloggers are similar to you? Who follows them? What are the other issues or areas that your audience cares about? What are your audience’s passions, fears, and concerns? 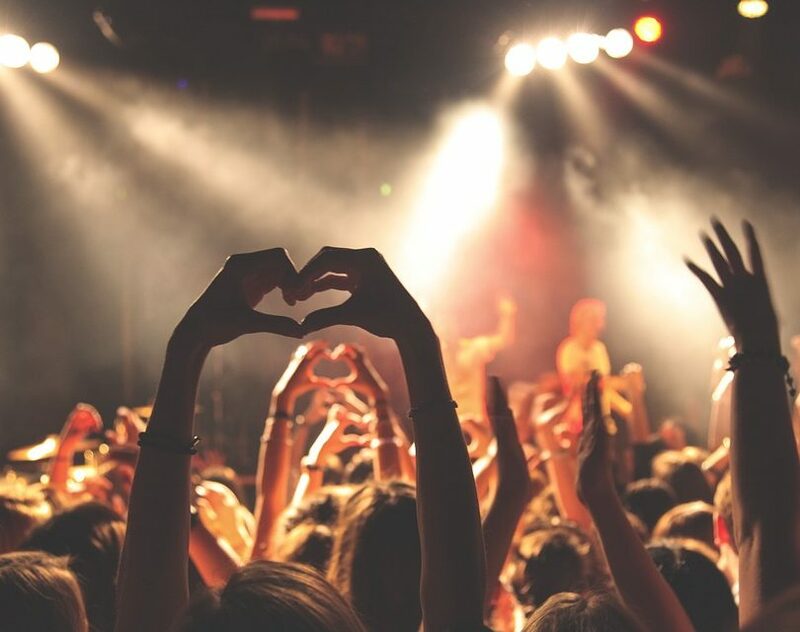 Once you know exactly who your audience is, it’s time to engage them personally. How do you engage anybody online? You catch their attention and personally interact with them. Imagine this scenario on LinkedIn. There are two ways to get someone’s attention. You sent them a personalized connection invite or you create a post that gets shared and earns exposure. Once you have your goals clearly documented like that, you can get insight into how to approach them. Even from the content creation standpoint, knowing your target audience well matters. For instance, if you sell sporting goods and you know your target audience cares about their well-being, you could create content about fitness and healthy eating. How to get your audience to follow you on social media? One of the easiest ways to promote your blog content is through social media. But for this strategy to be effective, you have to get your audience to follow you on social media. You could begin by following them first. Find your competition or bloggers like you and follow their followers. Many bloggers get hung-up over the topics that they are interested in. Ultimately, for your blog to succeed, you need to focus on areas that your target audience cares about. It needs to be topics for which your audience is actively searching for information on the internet. By focusing on this, you’re ensuring that you provide real value. There are simple ways to determine this information, using content research tools. Through Google Trends, you can see how a certain topic is faring in terms of popularity. Check if certain terms are actually trending in searches before investing time and money in creating content focused on them. Google Trends has geography based filters, so you can identify trends relevant to the geographies that you are targeting. This is a neat tool that shows you what in relation to keywords people are actually searching for. So, for instance, if you type a keyword in this tool and click on “Get questions”, you will find a set of questions that indicate what about a particular topic actually makes your target audience curious. You can then use these questions directly to create informative blog posts. Quora is yet another invaluable source of niche questions. Search for a keyword in Quora. You’ll see exactly what people need answering. Instead of answering these questions directly on Quora, you can write a blog post and summarize the content on that post on Quora, using the Quora answer to drive traffic back to your website. It’s not just the subject matter but also how you talk about it that matters. By using strong adjectives and emotion-inciting words in your headlines, you can make the more effective. If you’re not accustomed to copywriting for headlines, you could use a tool such as the Emotional Headline Analyzer to optimize the ones that you have written. Sometimes, the ideas that you find on communities such as Quora are superficial. They don’t convey the real frustrations that your target audience may be going through. This insight and refreshing perspective is what Reddit brings into the equation. You can make the most of Reddit by becoming an active, engaging member and then participating in the relevant communities. There’s no doubt that Google favors long-form content. However, it’s also true that long-form content gets more social media shares. 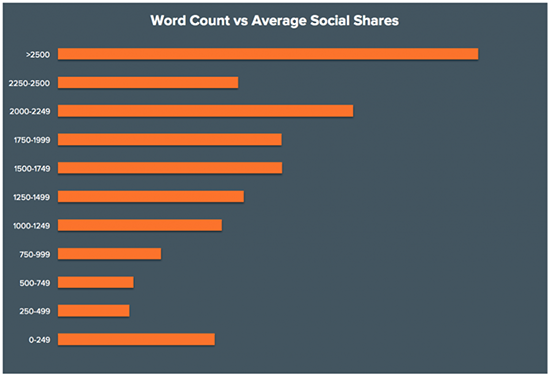 According to Hubspot’s study, the blog posts that are most shared on social media have more than 2500 words. 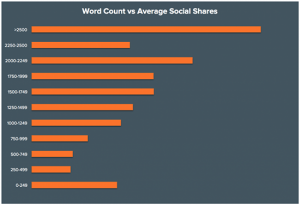 In fact, if you study the correlation between word count of a blog post and the number of times that it has been shared on social media, you’ll notice that longer posts tend to get more social media shares. Rand Fishkin once commented that content which is 10X times better than the top search result for a keyword or phrase tends to replace that result over time. This observation is simply a reiteration of the Skyscraper Technique. Not familiar with the skyscraper technique? Here it is in three steps. If you can’t handle the creation of high-quality content on a regular basis, outsource the work to an external content agency. At Godot Media we have several clients who engage us for year-round content creation projects, so they can focus on other aspects of marketing. Give detailed requirements and set specific expectations. At Godot Media, we run trial projects with clients so they can get samples of the final product. Keep communication channels open so you can give your content agency continuous feedback. Shutting off the feedback loop is a bad idea, because your final products may get affected. Ensure that the content created is marketed enough. Even the content you get is of the highest quality, it won’t yield results unless it has gotten enough exposure. There are several ways in which you can increase the exposure of your blog. It doesn’t have to be by promoting the blog on different marketing channels. You could even write articles in such a manner that they get shared more on social media. You could even write the post in such a way that it gets picked up by Google and other search engines. Take a blog post, split it into smaller sections and share the sections on social media over the course of days, weeks or months, depending on how long the posts are. Bookmark your posts on websites such as Medium and StumbleUpon to increase exposure among your target audience. Email your blog posts to blog subscribers. You can also include a link to your latest blog post in your email signature. You could also request team members to include the blog post in their email signatures. Include keywords and their synonyms as many times as possible, naturally on your blog posts. Include the within H2 and H3 tags for more SEO impact. Mention social media influencers within your blog posts where relevant. You could use them as examples to illustrate your concepts and ideas. You could also quote them where possible and let them know when you have. Make your blog posts readable. You can add headers and organize content in sections so your blog post is easier on the eyes. Also, use images – screenshots and pictures where possible – to give readers a break from seeing blocks of text. Turn small sections of text into click-to-tweet pieces so your audience is encouraged to share them. You could also condense your blog post text into an infographic or convert your blog post into a Slideshare for easy sharing. You can also convert slides into videos for sharing on YouTube and other social media platforms. Here are a bunch of ways to get more people to read your blog on a regular basis. Include your blog link within your Twitter bio and Facebook page description. Engage with people personally on Twitter and Facebook. It may take 20 minutes a day, but it’s worth the effort. Find interesting people on Twitter and follow them. Spend a minute or two on Twitter every few hours, so you can engage with a broad range of people. Interact with a small tribe of people consistently. Find good content to retweet. This helps you build a rapport with the people whose content you are retweeting. It also helps you get good content to share for free. Most people are likely to return the favor by sharing your content from time to time. Blogging, when done right, can boost your lead generation and conversion process. However, your blogging success depends on how effective your content is and how well it is distributed across channels. By engaging the right content producers and maximize your content marketing efforts, you can turn blogging into a major hack that grows your business.